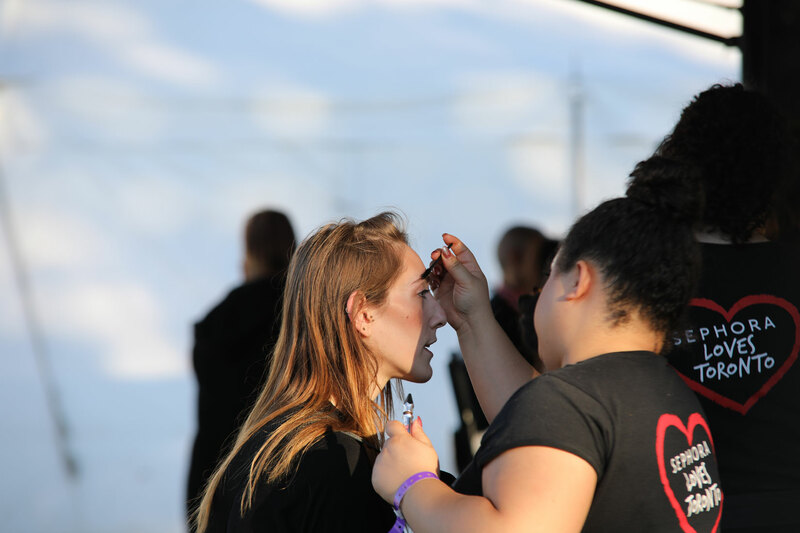 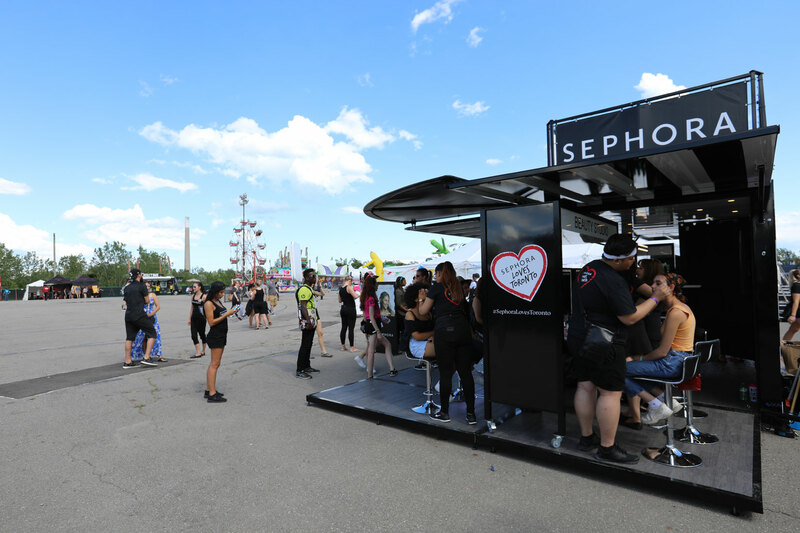 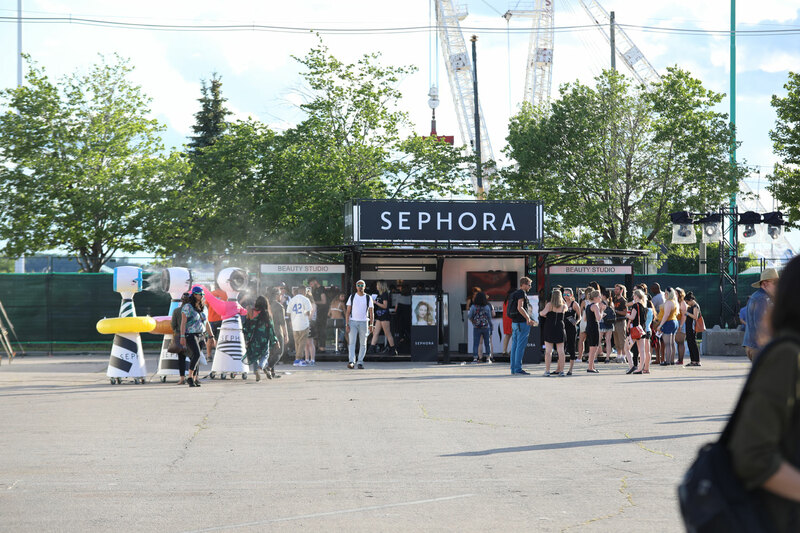 As part of Sephora’s “Toronto Takeover” market intensification campaign, last year’s Sephora Loves Toronto tour with a mobile beauty station was such a resounding success that Sephora renews the experience in 2017. 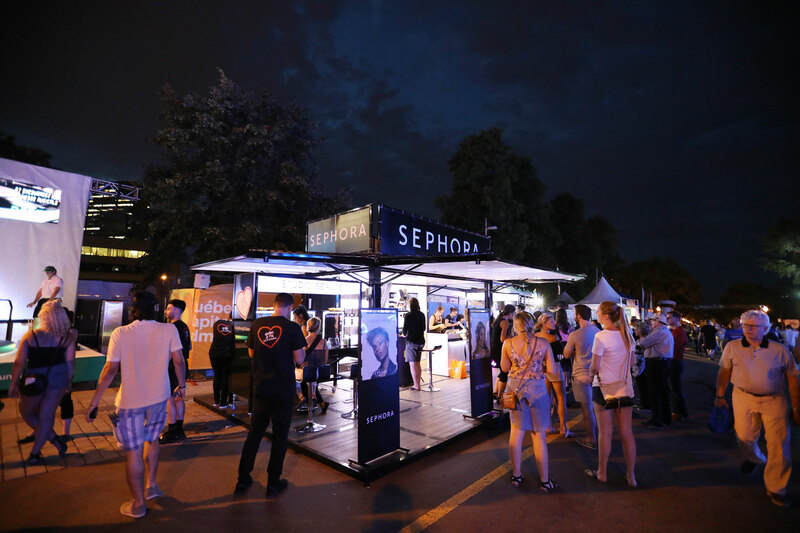 This time with the launching of a new pop-up booth taking Montreal and the rest of the Canadian market by storm! 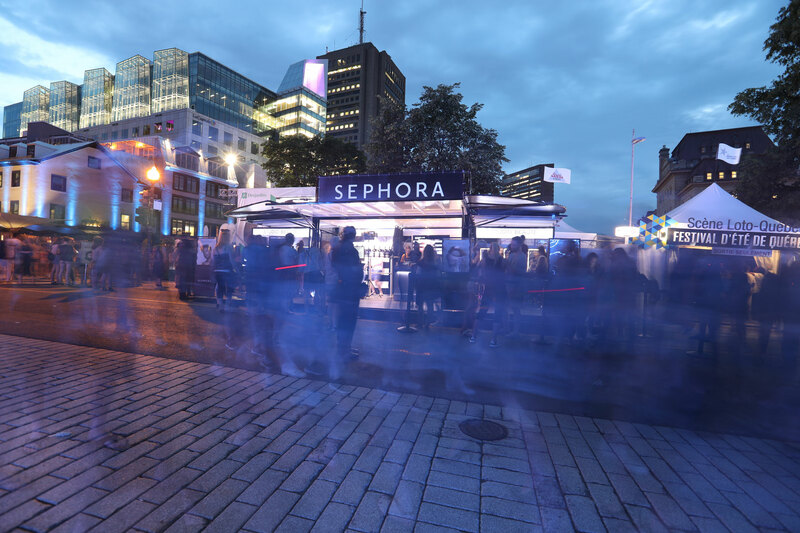 Since the beginning of spring, there are now two pop-up beauty stations operating across Canada, supporting Sephora’s social media events that attract followers by thousands. 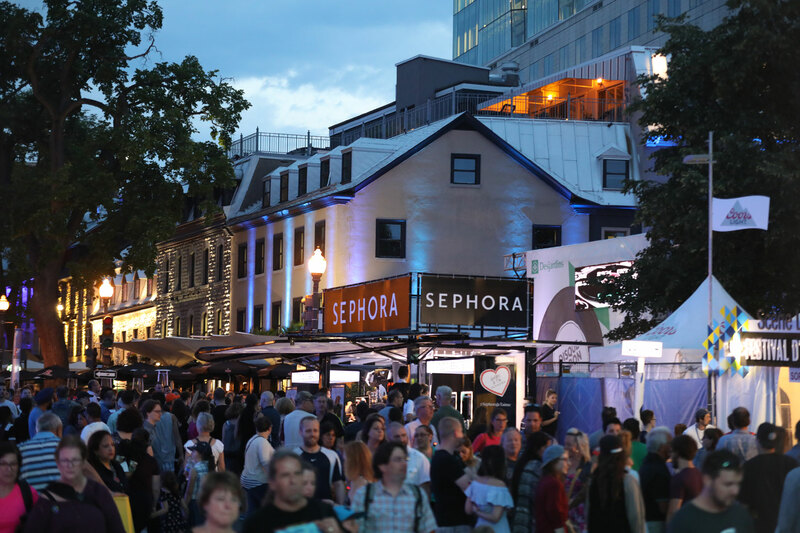 Once again, the tour is experiencing a tremendous success, making stops in malls in various cities and major Canadian events such as the Luminato Festival, North by Northeast, the Festival d’été de Québec and the Beaches International Jazz Festival. 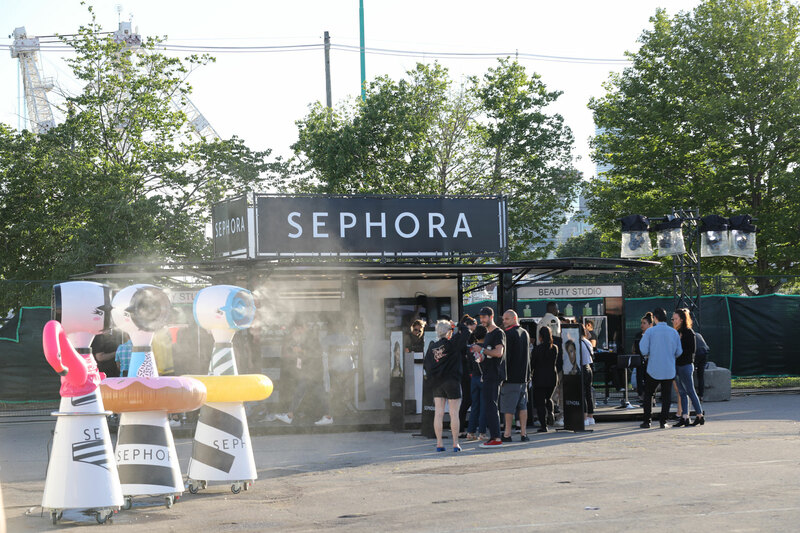 The two LB16 booths with full Sephora branding feature flooring extension and awning coverage that deliver an impressive 512 sq. 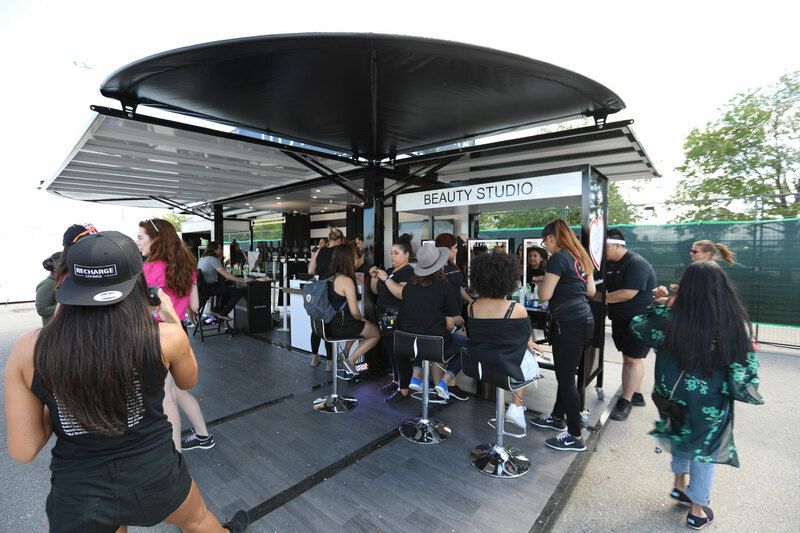 ft. of seamless, elegant space accommodating up to 12 sampling/make-up stations around a central meet & greet area and much-needed demo space given the brand's extensive product inventory. 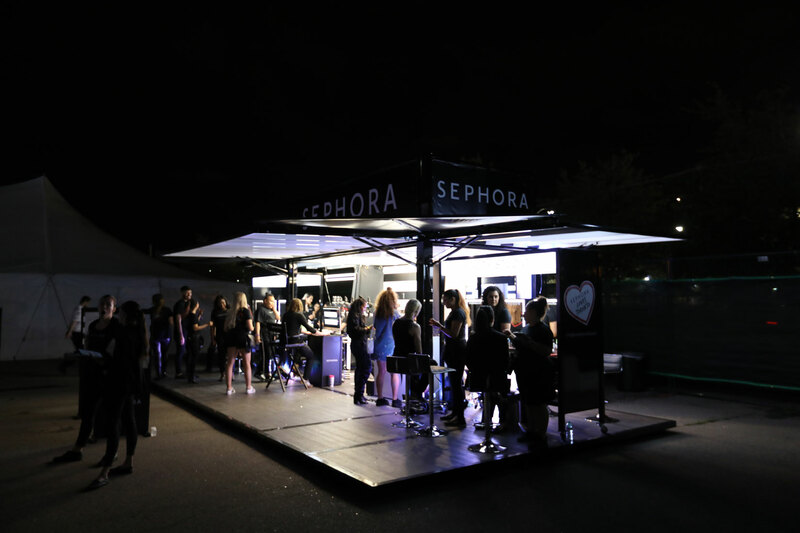 Loki developed this mobile beauty station concept. 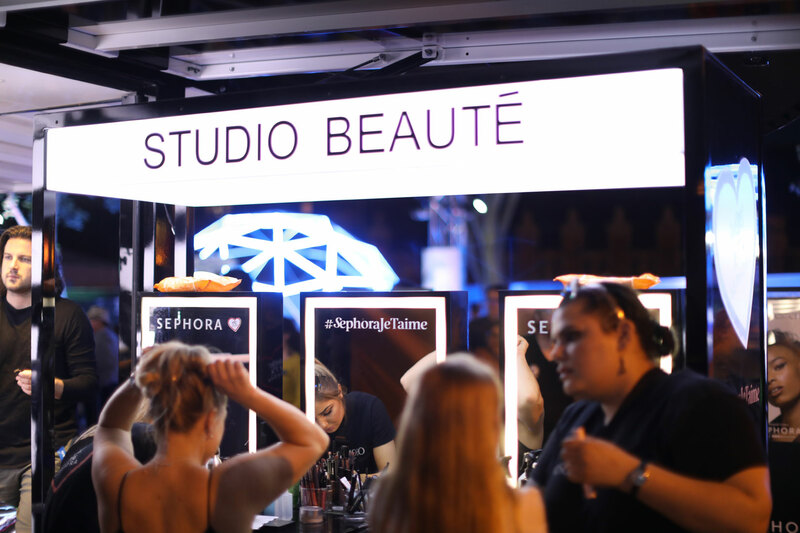 It also assists the Cinco Agency in the marketing activations in malls, and fully takes over the installation of the outdoor event booths. 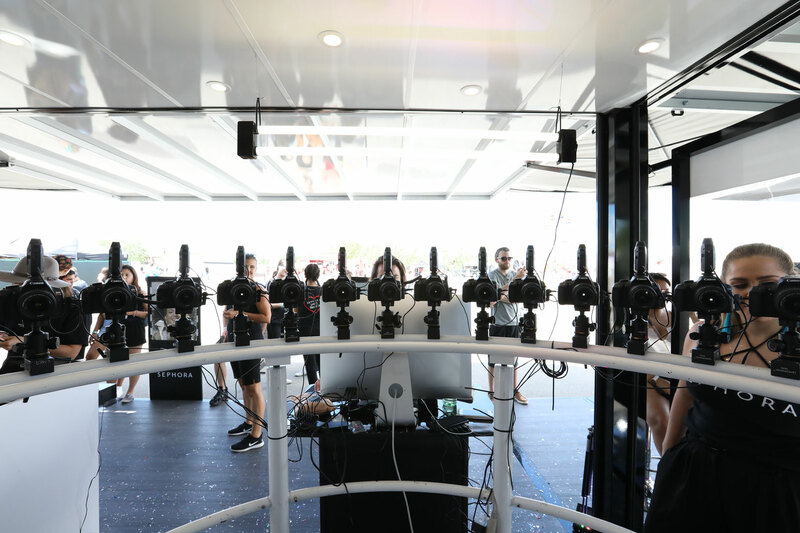 Their unique modular structure with quick-connect assembly allows effortless transition between a number of possible unit configurations to meet site-specific needs.